Mike Ragogna: Mike, production-wise, your new album LIVING THINGS was another collaboration between you and Rick Rubin, right? Mike Shinoda: Yeah, Rick and I teamed up again on this. I guess that's just a function of working with our band. I generally handle the ins and outs of production. MR: How does the interaction with Rick work? MS: Ever since we started with Rick, I've been kind of co-producing. Our working style is really different from what people would expect most bands to do. With that said, figuring out what to call what is a little tough. When people think of most bands writing a song, they think of bands getting together in a room and jamming and writing stuff together; basically writing the song and then recording the song. That's really not how we work. Ours is a really fluid process, we kind of go back and forth. From the beginning, we're writing it, we're recording it, we're mixing it, and even all the way down to the point where you're mastering the album, which is the very very last step, we're still writing a little bit. Every part is always open to change. We're constantly trying to better the songs and even in the process of mixing the songs, we might change something as drastic as the chorus. MR: So you have a final mix and then you say, "Let's touch up this chorus"? MS: On LIVING THINGS, just to give you an example, during the mixing process -- for the people who are less familiar with mixing and recording an album, you should be done writing by the time you get to mixing. For us, that's not how it works. Mixing is where you take the tracks and you kind of organize them and present them for your final album. For us, on every album, we've gotten to that point and said, "We still want to tweak things and make them a little better." On this one, we actually changed the words of one bridge entirely and we added guitar on a song where they didn't even exist before. We were mixing the song and we realized, "This song isn't as bold or as big as it's supposed to sound." We thought all the sounds were there, but they weren't. Luckily, our mixing studio was like twenty minutes away from our recording studio, so I just drove down the street, tracked the guitars, brought them back, and Brad was sitting there with our mixer. By the time he had even finished with our notes, I had brought back the guitars that belonged. MR: Nice. Which song was that? MS: I believe that was either "In My Remains" or "I'll Be Gone"
MR: I think I get some of the concepts behind the songs on this album, like "Burn it Down," that you've got to build it up to burn it down. Or am I missing the point? MS: Well, definitely not. I think for us, the lyrics of the songs are whatever you want to take out of them. I think that came from a few years ago, I was doing an interview with our drummer Rob and we were talking about a song from Meteora, our second album, and the writer we were speaking to asked about the lyrical content and I told him what the song was about. After the interview, Rob said to me, "You know, man, I never even knew what that song was about. I thought it was about something completely different." For him, it kind of took away from the song a little bit, because he had believed that his version of it was what it was about, and knowing that it was about something else was really jarring for him. It got us into the conversation, "What does it mean for somebody to bring their own story to a song?" Ever since then, I think we've been a little more careful about telling people what it means. You know, to be honest, we get the songs to a certain point, and once we put out our record, it's up to the fans to decide how the song gets finished. In other words, we lead you to a certain point in the road and we say, "Okay, the rest of it is your call. You bring your own interpretation to the song." In the case of most of these songs, I think Chester (Bennington) is coming from a certain place, I'm coming from my own experience, and on top of that, there are oftentimes metaphor and maybe a third read. In the case of "Burn it Down," we're talking about my personal story and his personal story, and there's also a layer of pop culture that plays a role in the lyrics of the song. For example, people build up a certain celebrity or musician or actor or whatever and they're popular one minute and the next thing, you know either they've done something wrong or they've done nothing wrong and there's just a bad rumor that goes around about them and then everybody's attacking that person. That's just the way things are. We've actually lived through that as a band. All that stuff plays a role. MR: Hey, Mike, on a song like "Lies, Greed, Misery," do you get any more of an affinity to the storyline when you're rapping on it? MS: For me, it's always coming from something that I have firsthand experience with, whether that be my own story or one of my close friends. We have a song called "Road Less Traveled" where I kind of wrote the song for one of my best friends. In every case, I feel like my best stuff comes when I'm thinking about something I feel strongly about. One day, I may not be inspired to talk about something, and then the next day, I may, and that's when I really try and dig into the lyrics of whatever might be optimal. Usually, for me, it's like the music will bring out that emotion or that inspiration and I just try and follow it. MR: "Lost in the Echo" is probably my favorite track on this album. Without going into the meaning, what inspired it? MS: "Lost in the Echo" started with mostly electronic sounds. I think that was one of those moments that defined what this album was going to be about. The past two years, whenever I brought anything in that sounded very much like Linkin Park -- the thing that people think Linkin Park is supposed to be -- the guys in the band kind of really turned away from it. For an album, I bring in anywhere between twenty-five to seventy-five demos to arrive at what we end up choosing for the record. Especially on the last two albums, a lot of those rough ideas can be really similar to what end up on the album or they can be just the egg that it hatches from. The thing about "Lost in the Echo" was it sounded a lot like what the "song" sounds like, I think. When the guys heard it, I kind of said to them, "What do you think about that?" and their responses, for the first time in a few years, were pretty good. They were like, "Yeah, we hear the merit. Let's develop that idea. Let's see what we want to do." I said to them, "You know, this is like a real moment for us, now, on this album." On the last two albums, if I brought in something like this, not everyone would've given it the green light; they would've said, "Oh, this sounds too predictable." But clearly, we're at a moment where we're bridging a gap between what we've been doing and the future of the band, so that was one of those songs that kind of set the bar. MR: It seems like you guys are progressing with each of the albums, experimenting more, and integrating things with the Linkin Park sound. Do you hear or feel the evolution? MS: I mean, it's hard to see it from inside, you know? It isn't until we finish a record and step back that we get a real sense of what it is, at least for me. But when we're in the studio, I'm personally always trying to figure out, "What haven't I done, what I haven't I tried, what can I do this time around and what kind of sounds have we not made?" We used to be called Hybrid Theory before we were called Linkin Park. The Hybrid Theory idea is the philosophy that we built the band on. It's not just about jamming popular styles together, it's a function of the band members being really honestly into a lot of different kinds of music, and as we've gotten older, that library of stuff that we like has gotten deeper and broader. When we were doing Hybrid Theory, we were really focused on a certain kind of rap, a certain kind of hip-hop, a certain kind of rock, a certain kind of electronic music, and as we've grown up, we've started to broaden that melting pot. On this record, it not only includes all these different types of music, but also stuff going back as deep as folk music from the twenties and futuristic sounds that hopefully feel as cutting edge as they feel when we're in the studio. We're also bridging the gap between our own records. MR: Rick Rubin has been associated with so many different recordings and styles, but lately, he seems to be more of an organic producer. It's fun to see him on projects that are more experimental. Not that I wouldn't associate Rick Rubin with that, but you can never predict him or guess what his next creative move is. MS: Yeah. I think he's a great match for us right now. When we started with Rick, I was terrified because of maybe my top ten favorite albums, he's produced half of them. I'm just a huge fan of the stuff that he's done and once we got past that point of being nervous about working with Rick, we got a little bit of momentum and a rhythm. He's such a great match for us, because of the things that we want to do, the ways that we want to mix styles, it helps us to have somebody who not only understands all those styles because they listen to them, but also because they have a hands-on working experience and a really deep catalog and understanding of what makes these different types of songs special. When we were working on the song "Until it Breaks," which is kind of our attempt to do a Beatles White Album kind of all-in-one song, it's just a bunch of craziness, jumping from one sound to the next to the next to the next, all in the span of less than five minutes. Some of the ideas we were throwing out ranged from Beatles to electronica to folk, all of that stuff that we were thinking about. I was thinking that there aren't really any other producers where we could have this conversation and they would really know their s**t the way Rick does -- and not just that, but to connect with us on a personal level; to have that conversation and not miss a beat. MR: Mike, what advice might you have for new artists? MS: It's hard for me to give advice to new artists, because the industry environment we grew up in was so different. We were coming up playing shows at little clubs and everything. We'd put out a sign-up list to keep in touch with the band, and more than half of the list would sign up with their home address and phone number because they simply didn't have email yet. When we came up with the name Linkin Park, we wanted to go with the presidential spelling but we chose L-i-n-k-i-n because we wanted to get the domain ".com." There really wasn't a Google yet. So if you can imagine coming from that and everything that's happened since then, we've had to roll with it and really stay in touch with our fans, stay in touch with the technology, and try and stay ahead of the curve. I think that amount of perspective makes it tough for me to tell young artists what to do because we're so used to just keeping our eye on what the next thing is, and a lot of these folks are growing up with those things being a reality. But a lot of that stuff aside, clearly, the thing that has always been a focus for us is making sure your songs are where everything is based on. You could have the best promotion in the world, you could get name-brand producers and video directors, whatever. Young artists are always aspiring to get with somebody else who is talented and say that that's going to take their band to the next level. But truthfully, these days, with the direct-to-fan relationship you can build these days online, that stuff is less and less important. We built our thing on making our own music, making our own videos, doing everything ourselves to any degree that we can, and if all the other stuff went away, I feel like we'd still be pretty autonomous. I think that's the lesson for young artists. MR: How did you enjoy your recent Jimmy Kimmel stint? MS: Oh, that was really cool. We played Jimmy's show a few times. He and his team were there and invited us to play two nights. It was really fun. The fans were crazy, we were home from a crazy tour and happy to be back, so it was really exciting, being able to do stuff like that while you've got the opening of a record and fans being super-supportive of the album and everything. On our last record, we were really challenging the fans, thinking the sound of the record was going to polarize people and it was going to be like a conflict as soon as the album came out, and we were ready for that. This album was more like we were giving fans something they'd been asking for a long time, so it was a whole different kind of experience -- support of the records, making us number one here in the States, which is incredible. That was a really tight race here in the States. I think we edged out Maroon 5 by less than a thousand records, so it was a really close one. MR: And, of course, you have that music initiative with Open Labs and Dell, right? MS: Yeah. That's a new thing we're actually doing EDM. The story behind that is that I've been using Open Labs stuff on my keyboard. Right now, we're putting up the limited edition pro version. If you go onto https://www.LinkinPark.com, you'll find the link to the limited edition Dell computer with the touch screen, and the software is on there. There's a bank of limited edition Linkin Park sounds, so you can basically make your own music using our sounds, a lot of which are unreleased. They're things from our demos, they're things that we had in our songs that we pulled out. There are actually some things there that are in our songs on record. So all that stuff is in the Open Labs/Dell product, and you should go check that out. On the radar, too, we have an amateur version of that, a more "mainstream" version of that. The version that's out right now is a more "pro" version geared towards writing stuff and playing it on stage, and the version that will be coming out sometime in the next twelve months, I think, will be more of a broad thing. This one that's out right now is a limited edition package with sounds and that's the thing that differentiates it. MR: Cool. Okay, thanks, Mike, for your time and all the information. THE VILLAINS' VIDEO EXCLUSIVE: "CADILLAC"
The band -- with members Sean McNally (drums and vocals), Dan Call (bass and vocals), Magno (guitars, keys, and vocals), Michael Wilkes (guitars), Jimmy James "JJS" Schmitt (guitars and vocals) -- have a new album, their sophomore effort, titled Velocity, and it's being released through via Toucan Cove Entertainment/Universal Republic. It's the follow-up to their 2010 critically-acclaimed debut, Just Another Saturday Night, released via Rock Ridge Music. The first single, "Rainy Day Girl," has been getting airplay on AAA stations nationwide including WJCU (Cleveland), WOCM (Ocean City), KSPN (Los Angeles), WCBE (Columbus), KBAC (Las Vegas), WFIV (Knoxville), KRVM (Denver) and many others. A video for the song can be seen on the band's official YouTube page here: http://bit.ly/HQXShj. Peter Stroud and bassist Dan Call co-wrote "Cadillac" as well as other songs from the current and debut album. He also played guitar on both records and is technically the sixth Villain. For the last 10 years, Peter has played guitar and been the band leader with Sheryl Crow, and he has also toured and recorded with Don Henley, Stevie Nicks, and many others. FYI, he owns an amp company called 65 Amps that many top artists endorse as well as his own endorsements. 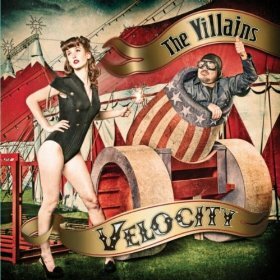 Produced by Stan Lynch (former Tom Petty and the Heartbreakers drummer, who also co-produced Don Henley's Inside Job) and Billy Chapin (who has played guitar for Backstreet Boys and producer for Edwin McCain) and mixed by industry veteran John Kurzweg (Jewel, Creed), the twelve songs on Velocity represent the recent period of growth for the band. In the spirit of acts such as The Band, The Eagles, and Fleetwood Mac, The Villains utilize different singers and styles for a cohesive mix. Songwriters such as Tom Douglas (Miranda Lambert, Tim McGraw), and Richard Feldman (Eric Clapton, Joe Cocker), as well as Lynch, were enlisted. And here is a little taste of the album through its video exclusive, "Cadillac." Mike Ragogna: Oskar, please describe how VideofyMe functions? Oskar Glauser: Videofyme is a complete service for creating videos using your phone or any camera and easily editing and sharing the videos with your audience wherever you are whenever you'd like. It's all very easy and user friendly. If you are a fan of Instagram, you will love VideofyMe! MR: How did you come up with the idea for VideofyMe and how long did it take for it to become a practical platform? OG: Co-founder Robert Mellberg and I were experimenting with a video website where we created over a hundred short episodes on different subjects. We did a short video interview with the founders of Pirate Bay and when we syndicated that through a big torrent blog, we saw that the traffic boomed. We decided we needed to build the perfect tool to help monetize that traffic, so that's what we did with VideofyMe. We worked with bloggers in Sweden for a couple of years with the first version of the service, but just recently released a much improved mobile app and started to work with creative people from various industries all around the world. Right now, we are challenging fashionistas worldwide to create inspiring fashion videos for a chance to win an all-expense-paid trip to Stockholm for the Mercedes- Benz Fashion Week in August - more info at http://www.videofymyfashion.tumblr.com. Until now, our main focus has been to get people in the fashion industry to start using our app, but we're strategically moving towards other verticals such as music and sports. MR: How do you compare this social media application with others who are similar -- Social Cam, Viddy, YouTube...? OG: VideofyMe is more focused on talented individuals with quality content and a story to tell. We also offer the option of adding ads to your videos and monetizing your content. The monetization part is really easy. Just switch it on in your profile settings and ads will be automatically added to your videos. You start making money once the first pre-roll is shown. We are very focused on showcasing VideofyMe as a video tool you can use anywhere -- you can even share videos taken with the app on your YouTube account. We also have direct integration and plugins for blogs which makes it easier to publish videos with just one click. MR: How user-friendly is the app and what is the potential for monetizing assets? OG: VideofyMe is very easy to use and we're constantly releasing updates to improve the app. Monetization is available for everyone with content that stick to our rules -- 1. Create the content yourself, 2. Keep your clothes on, and 3. Be kind -- and can easily be switched on and off manually. The amount of money you earn depends on the location of the viewer and the size of their audience. MR: Which advertisers are currently involved with the site? OG: We work with most of the big ad networks as well as directly with advertisers. Warner Music, EMI, MTV, Sony Pictures, Samsung and more have already begun working with us. We try to keep the ads short and relevant to the owner's audience. MR: What are the differences between uploading a video through the online platform versus using the app itself? OG: The app itself contains filters and a simple video editing studio where you can combine multiple videos into one dynamic video. The app also creates a social community within itself with the ability to like and share other users videos. MR: How do you see VideofyMe changing the current paradigm of video blogging? OG: We are striving to make it really easy and fun for anyone to create great content, share it and monetize it. YouTube is also working in that direction, but we are more focused on the mobile sector and encouraging anyone with a smart phone to start video blogging. MR: If I'm an unknown artist, what can I realistically expect in terms of monetizing my videos and how can I maximize them further? OG: If you don't have a big audience, you won't be able to quit your day job, but it could be a good source of extra income. What's more important is that with one click, you easily can share your videos across all your social networks, and in turn, build yet another network of followers within the application. MR: What advice do you have for users who have never done video blogging before? OG: Keep it simple and find your own unique style. Make shorter videos more often and then longer ones. Make sure you share your videos everywhere to help build your audience. MR: What's one of your favorite videos on the platform? OG: One of my favorite videos actually comes from the Swedish pop-star, Coco. We worked with Coco and her team to help premiere her new music video through the platform earlier this spring. MR: Is VideofyMe working on any new updates or features we should be aware of? OG: We are constantly working to improve the service, but right now we are focused on bringing more of the social features that we have in the app to the web as well. You will soon be able to comment on videos, share across additional platforms and much more! Stay tuned! 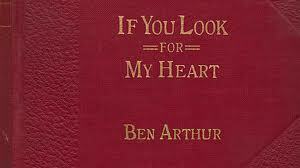 New York singer-songwriter and novelist Ben Arthur has an ambitious, simultaneous album and novel release, both titled If You Look for My Heart, and it features guest appearances from indie hip-hop legend Aesop Rock and acclaimed singer-songwriter Rachael Yamagata. Because of the unique aspect of the two mediums -- an album and novel -- making videos for the songs presented Ben with a unique problem. "Theoretically, I could attempt to retell the section of the novel that a particular song connects with in the project," Ben explains. "In the case of the song 'If You Look for My Heart,' this is about a lonely young man who spends the entire chapter halfway up a tree, hoping to catch a glimpse of a girl he loves through her bedroom window. But this seemed less than compelling without the rest of the book. That's the thing about novels -- they're long form for a reason." He adds, "One day I hope I'll get a chance to make a movie of If You Look for My Heart, and can do the long form video justice!" So when approaching the video, Ben decided to make something that stood apart from the novel, just focusing on the song itself. "The loudest echo I hear is frustrated loneliness. The song is about someone who desires and repels love with equal strength." Inspiration came from the Charlottesville native's adopted hometown of New York, which is also where the video is set. "I remembered a performer I used to see in the subway stations of New York City, a man named Julio, who danced with a mannequin named Lupita," Ben recalls. "Julio's performances always struck me as lovely, yet incredibly sad. I thought if we could make the video about a person who both wants love, and simultaneously ensures she will not receive it, I'd be telling the right story." Here is Ben Arthur's video exclusive, "If You Look for My Heart."